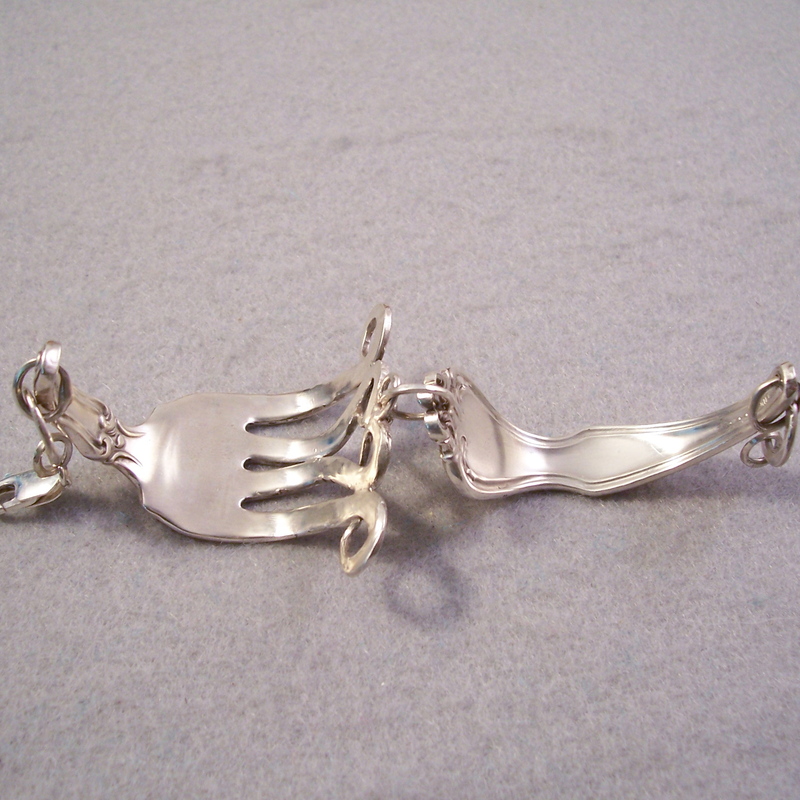 For thie bracelet and entire sterling silver dinner fork has been recreated. 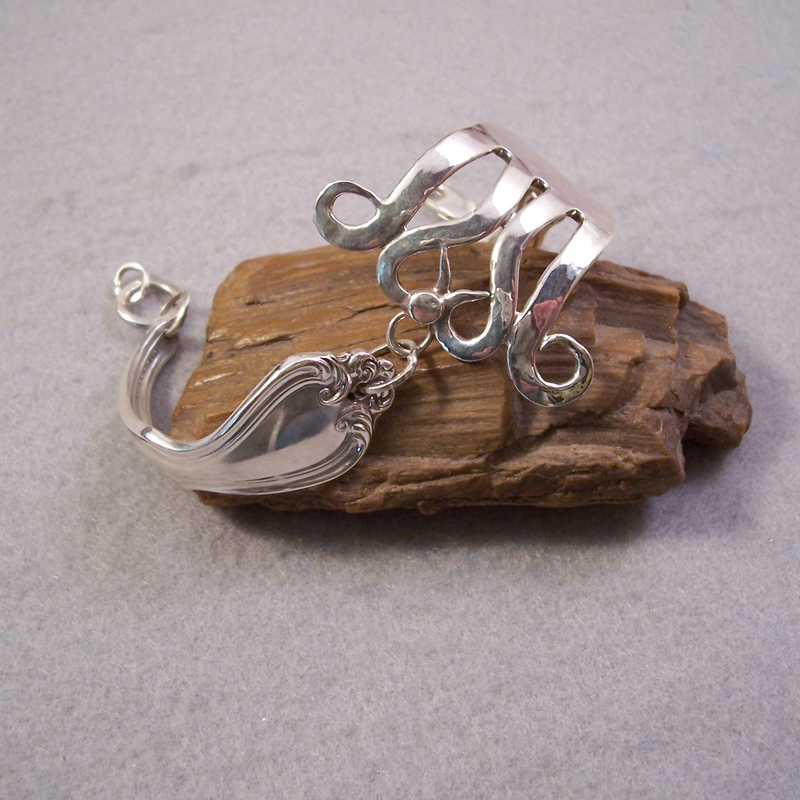 the business end has been curved to join up with the pretty end with a sterling link. 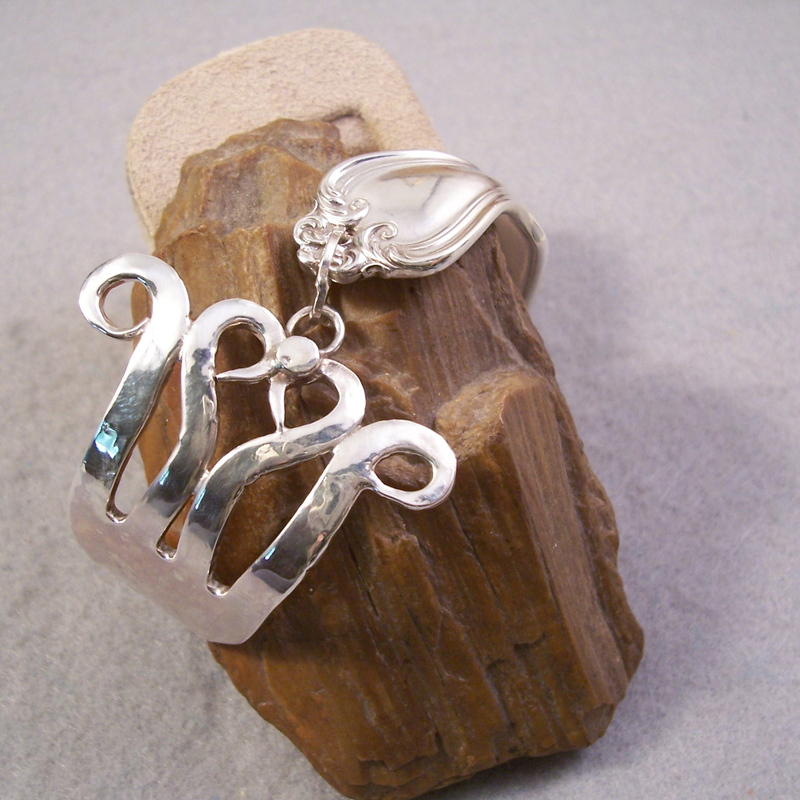 The clasp end features a few good sized sterling rings with a big lobster clasp. this is a heavy bracelet and it nestles nicely on the wring right below that bone that is a bump. It is comfortable and if it fits correctly it will not travel on your wrist. Hard to measure but this is about the best I can do- Inside dimensions are about 2 3/4" by 2 1/2". This would not look good on a tiny wrist, it is made for a more substantial wrist. It would be perfect for a wrist with a circumference of about 7"